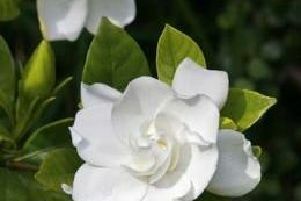 Horticulture experts at online garden centre GardeningExpress.co.uk have revealed their favourite and best smelling plants for a fragrant backyard through spring and into summer. Honeysuckle comes in many varieties that thrive everywhere, and as such is a very popular flower among those who love fragrant plants. ''The honeysuckle vine can reach an impressive height of up to 40 feet, and its cluster of tiny flowers boast comforting smells similar to vanilla and honey. The rich, sweet fragrance of white or yellow jasmine has made it incredibly popular around the world, prized for its brilliant green leaves as well as its soft, delicate and sweetly scented flowers. ''There are more than 200 different species of jasmine, and its essential oils are used in perfumes and aromatherapy for both relaxing and aphrodisiac effects. Lavender is known across the globe for its unforgettable fragrance and gorgeous purple flowers. ''Great for borders and better still, when the flowers are over, cut them and bring them indoors to carry on enjoying them. Lily of the valley is known for its pleasant smell and delicate beauty, featuring nodding bell-shaped flowers. ''As a sweet-smelling flower, lily of the valley is use in the production of perfumes and as a herb for burning and for fever.